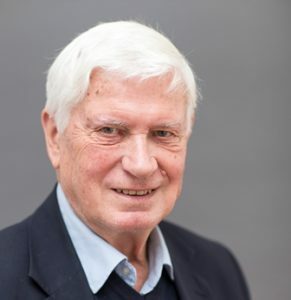 Johannes Beutler, SJ is author the new book A Commentary on the Gospel of John. 31 When Judas had gone away, Jesus said: Now is the Son of Man glorified, and God is glorified in him. 32 If God is glorified in him, God will also glorify him in himself, and he will glorify him soon. 33 Children, I will be with you for only a short time. You will look for me and, as I said to the Jews, I am saying now to you: Where I am going, you cannot come. 34 I am giving you a new commandment: Love one another! As I have loved you, so should you also love one another. 35 By this will everyone know that you are my disciples: if you love one another. This theme has come up already in the section John 12:20–36 in verses 23 and 28. In 12:23, it was linked to the title of “Son of Man.” This connection is encountered in our passage no less than five times (vv. 31 and 32) with minor variations. Clearly, the evangelist has set this theme as the title for the farewell discourses. It will re-emerge in John 17 (vv. 1–5), so that one can see a kind of “inclusio” between John 13:31–32 and the prayer of Jesus in John 17. The second theme of verses 31–35 is the imminent departure of Jesus and the inability of the disciples to follow their master, at least for the moment. This theme is taken up again extensively in the speeches in John 14 and 16:4e–33. 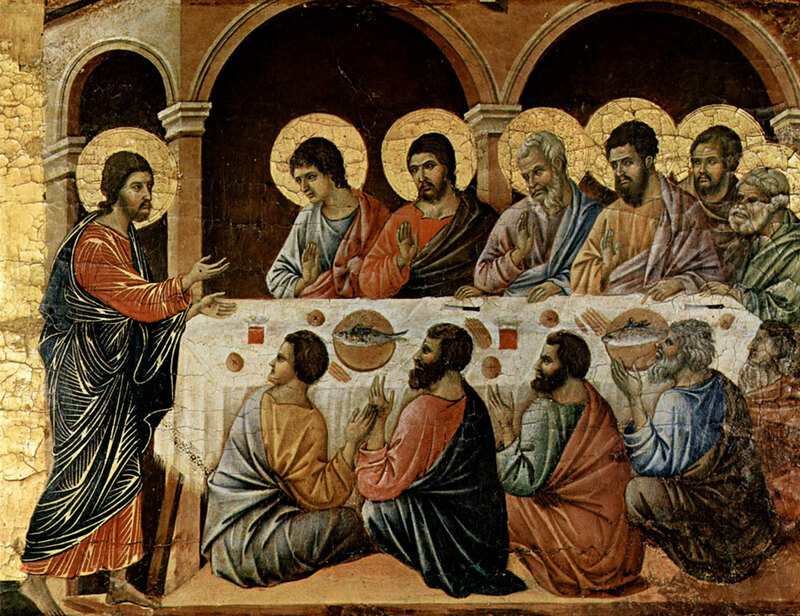 The third theme, that of the mutual love of the disciples, prepares for John 15:12–17, and so for the second discourse in John 15:1–16:4d. It is possible to see a connection between the theme of love in John 13:34–35 and in the prayer of Jesus in John 17 and to add to the theme of love that of glorification. From the simple fact of the correspondence of John 13:31, 35 and the various parts of the farewell discourses, one cannot presume the literary unity of these discourses without further consideration. If, on account of the significance of John 14:31 and other observations it seems advisable to accept a process of growth in various stages for the discourses as well as the secondary character of chs. 15–17, it cannot be excluded that John 13:34–35 too, with the commandment of mutual love, has been added to the text later. However, the reverse theory, that the text in John 13 is preparing for the later echoes is not to be dismissed out of hand. 13:31–32 With its fivefold repetition of the same verb, the small text unity is unique, not only in the Fourth Gospel but also in the New Testament (and probably beyond). We are thus presupposing the longer text including v. 32a, although these lines are enclosed in square brackets by Nestle-Aland28. It obviously makes sense after the two aorists that precede it and the two futures that follow. It is precisely this transition from the aorist to the future that is striking from the linguistic point of view. On the semantic level, the connection of the “Son of Man” title with the verb of “glorifying” needs clarification. It has already been suggested previously that the evangelist was apparently linking the tradition of the “Son of Man” who, according to the Synoptics following Dan 7:13–14 had to suffer, die, and rise again, with that of the servant of Isa 52:13–53:12, especially 52:13 LXX (the servant will be lifted up and glorified). 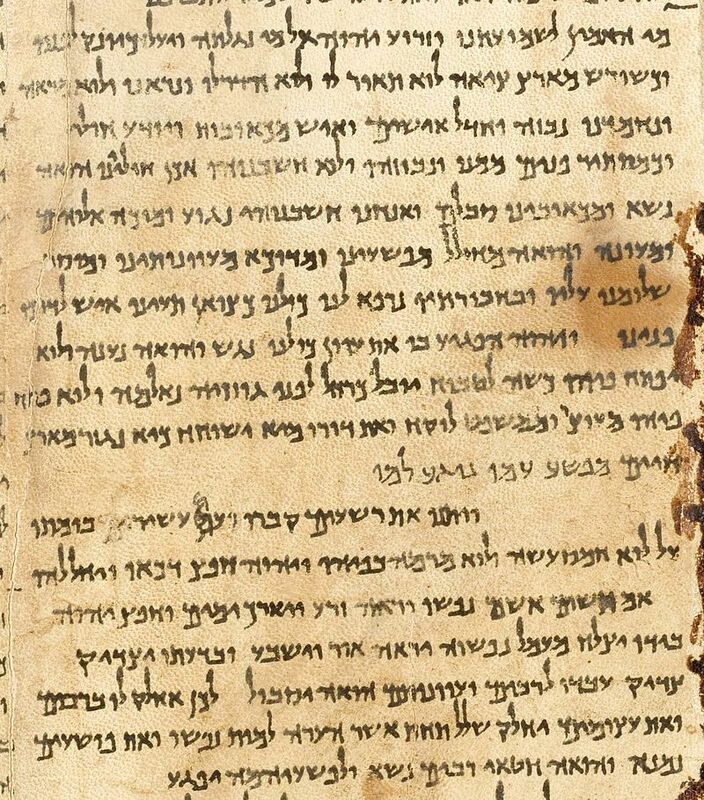 Isaiah 53 from “The Great Isaiah Scroll” (1QIsa) found among the scrolls at Qumran. How can we now best explain the small text unit in which the theme of the “glorification” of the Son of Man returns five times? It can be conjectured that the text unit is headed by a small hymnic fragment which reads simply: “Now is the Son of Man glorified, and God is glorified in him.” One could imagine the origin of this couplet in the liturgy, perhaps in a community within the ambit of John’s Gospel. Similar texts are found in the Revelation of John in which the introductory νῦν (“now”) can be replaced by ἄρτι (cf. Rev 12:10). In Revelation, there are various texts which, in a cosmic liturgy, sing of the glory of God and the Lamb (cf. Rev 5:12–13; 7:12). If a verse like John 13:31 was sung in John’s community, then the insertion of the couplet here leads to difficulties. In fact, Jesus is standing at the beginning of his passion and has to glorify the Father right to the end of his path of suffering. For this reason, the evangelist could have added the three lines that follow: As soon as the Son has glorified the Father to the end, the Father will also glorify him “in himself,” and will do it soon. 13:33 Jesus had previously announced that he was departing for a place where he could not be reached. Verse 33 refers to John 7:33–34 where Jesus said to the Jews that he was going away, and where he was going they would not be able to follow him. In its place in John 7, Jesus’s saying had more the sense of an urgent warning to listen to his words and accept them in faith. In John 13, it has more the task of preparing the disciples for their new situation in which Jesus would no longer be among them. In the thinking of Zumstein, the saying in v. 33 has a double dimension: christological and soteriological. Jesus must depart in order to fulfill his role, and the disciples will be linked to him in a new way—no more in a physical and visible discipleship but through the new presence of Jesus among them in the Spirit. This reality will be taken up again in verses 36–38. 13:34–35 Jesus’s new commandment to love one another appears between the announcements of his departure in verses 33 and 36–38, and for this reason it has frequently been concluded that it has been inserted into this place subsequently. The question remains: at what point in time and from which hand was this interpolation carried out? The content of the commandment comes from the Synoptic tradition (Mark 12:28–34 par.). The origin of the commandment of brotherly love is found in Lev 19:18, only, in John, the “neighbor” is replaced with the “others” belonging to the circle of disciples. The “as” (καθώς) thus signifies more than a comparison. Jesus’s love for his own is not only the example for the love that the disciples ought to give to one another but at the same time is also its source. Correspondingly, the unity of the circle of disciples should become the mark of the fact that Jesus was sent from the Father (John 17:21). These verses show that the Johannine community is not fully detached from its surroundings like a sect. Why is Jesus’s commandment a “new commandment”? Certainly, it does not mean new moral teaching.33 Rather it is to be seen in connection with the new covenant. Just as Jeremiah in Jer 31:31–34 speaks of a new Law that will be written on the hearts of the Israelites, so the command of Jesus is also of a new kind that will be made possible through Jesus’s “hour.” For the First Letter of John (2:7), Jesus’s commandment is simultaneously new and old; for Second John (5), it is no longer new but a commandment that the faithful have heard from the beginning. 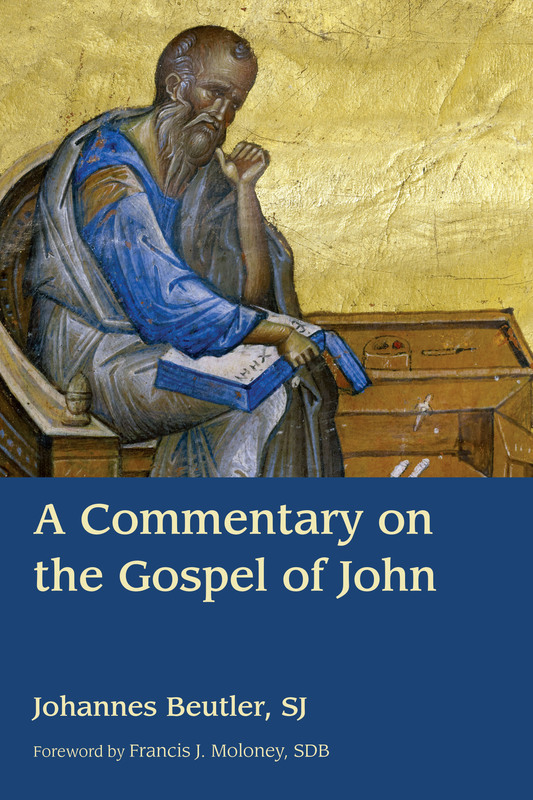 Purchase A Gospel on the Gospel of John at Eerdmans.com, Amazon, or Christianbook.com.